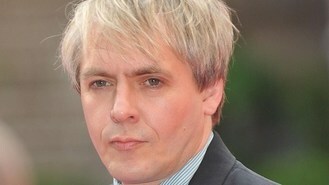 The illness of keyboardist Nick Rhodes has forced the last-minute cancellation of rock group Duran Duran's concert at Atlantic City's Revel. The chart-topping 1980s band members have been on the road for nearly two straight years in support of their new album All You Need Is Now and the pace has taken its toll on Rhodes. The casino, Atlantic City's newest, said Rhodes has been sick for a few days and saw a doctor who advised him not to perform. In a news release, Rhodes said doctors told him he could be suffering from exhaustion. "I have struggled through the last few nights, hoping that I could simply work through this," Rhodes said. "But today I felt so unwell, I had to see a doctor. "We absolutely hate to disappoint our incredibly loyal fans and cancel a show at the last minute, but unfortunately the doctor has strongly recommended that this is what we do on this occasion. So it is with enormous regret that we are unable to perform in Atlantic City tonight,"
The casino was not informed that the band would be cancelling until 7pm - after many fans had already arrived with tickets. The gig, due to take place at the casino's 5,000-seat Ovation Hall, may be re-scheduled in the next few days. Duran Duran are best known for their 1980s MTV videos including Rio and Girls On Film. Rihanna is to light up the stage as one of the performers at the 2012 MTV Video Music Awards, it has been announced. Nelly Furtado has revealed she is comfortable with her body, but admitted it has taken her a while to accept the image pressure of being in the public eye. The Kaiser Chiefs have confessed it was a struggle to keep details of the Olympics closing ceremony a secret. Katy Perry has reportedly turned down the chance to be a judge on American Idol. Example has revealed his new album is "a bit more grown-up". Hundreds of musicians will perform their own renditions of one of Coldplay's biggest hits to mark the end of the Paralympic Games. Girls Aloud have been inspired by the Spice Girls' performance at the Olympics closing ceremony and are planning "something special" to mark their 10th anniversary. Ellie Goulding fans have the chance to bring the singer to their hometown for a live performance. The Creamfields dance music festival has become a casualty of the weather, ending a day early after torrential rain caused "heavy flooding".